Where are you in the home purchase process? By submitting your information on this page, you hereby authorize Lizy Hoeffer Team and/or Guild Mortgage Company to contact you regarding financing, mortgage or related matters. Your consent applies to our team/company potentially contacting you. For more information, view our blog. 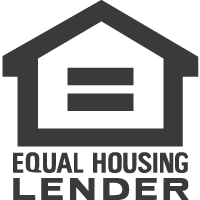 Guild Mortgage Company is an Equal Housing Lender. Lizy Hoeffer NMLS ID # 260183. AZ LO-0913409 I am authorized to conduct business in the state of Arizona. Branch NMLS ID - 38110. 2231 E Camelback Rd Ste 205, Phoenix, AZ 85016. Company NMLS 3274, AZ BK#0018883, The Lizy Hoeffer Team AZ BK#0939614.